If your business relies heavily on temporary labour, we advise that a Preferred Supplier List (PSL) exercise is undertaken to ensure that your business only deals with the most suitable and trusted temporary labour suppliers. 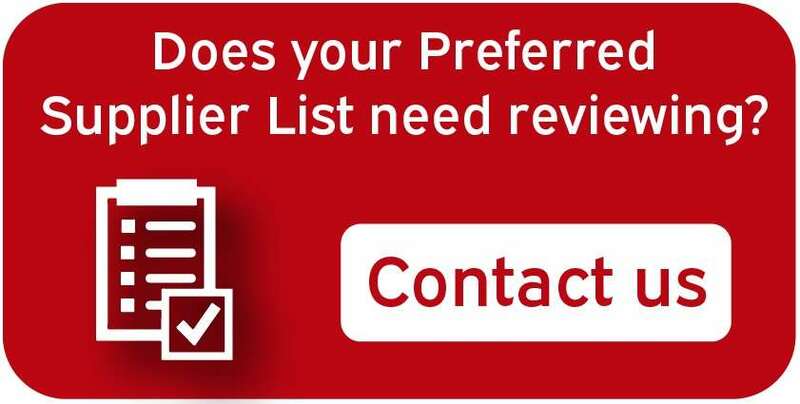 Why review your Preferred Supplier List? Your business is constantly adapting and changing which means that it is hard to keep your eye on every minor detail. It is equally difficult to keep up with developments in your supply chain if you aren’t carefully monitoring it. You have full control over your own business, however, you are in not in control of your suppliers. It is your choice to work with certain suppliers over others and without reviewing your decisions, it is easy to make a catastrophic error. If the wrong choice has been made, your suppliers’ actions are not in your control. This means that not correctly reviewing and managing your PSL could cause reputational and financial damage to your business. Ensuring that your preferred suppliers operate in accordance with your business values and are compliant with legislation reduces your exposure and connection to non-compliant operations and can help protect your business in the long-term. Constantly reviewing your PSL is important for business growth and also to ensure that your business is working with the best suppliers. If you are dealing with a labour supplier that slows down your business processes, it can damage your productivity and can be harmful to your profitability. HMRC expect businesses to conduct thorough due diligence on their labour supply chains and this is evidenced via their guidance “Use of labour providers: advice on due diligence” published on 19 May 2017 and we are aware of HMRC undertaking “voluntary visits” to review businesses due diligence efforts on their temporary labour suppliers. If HMRC finds fraud in your temporary labour supply chain and do not believe you have carried out sufficient due diligence, then you could lose the right to recover the tax paid on these transactions and may ask you to account for unpaid tax and National Insurance Contributions. The outcome of having a PSL review is a reduction in the risk of being involved with a non-compliant temporary labour supplier, such as an agency or contracting intermediary, which could result in damaging the reputation of your company and the risk of financial liabilities being transferred to you. It also helps to identify the types of suppliers most suited to your business needs ensuring that your business processes are optimised to the highest capacity. If you are worried that your PSL management hasn’t been at the forefront of your business priorities in recent years, Aspire can ensure that your PSL is thoroughly reviewed to make sure that you are doing everything you can to deal with the best labour suppliers without the risk of financial and reputational damage. Call us on 0121 445 6178 or email enquire@aspirepartnership.co.uk to find out more about how we can help.